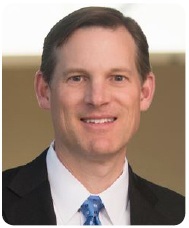 Former Baker Donelson Shareholder John Bryant joined long-time client Healthcare Realty Trust in 2002 as "understudy" to the general counsel at that time. Today, John serves as Executive Vice President and General Counsel to the Nashville-based real estate investment trust (REIT). While a number of our attorneys both keep up and work with John regularly, we recently took an opportunity to visit with him about his trajectory at Healthcare Realty Trust, what he does and/or dreams about outside the office (including a very interesting REIT concept), and what guidance he would impart to those beginning a career in the practice of law. For those who may not be familiar with Healthcare Realty Trust Incorporated, please provide a bit of backdrop on the company and how your position is of importance to its operations. Healthcare Realty Trust Incorporated owns and operates a portfolio of about 200 medical office buildings and health care facilities in 28 states. Our properties are located, predominantly, on or near the campuses of large acute care hospitals. We are headquartered in Nashville and have about 250 employees spread among our corporate office and various other offices around the country (e.g., Memphis; Dallas; Houston; San Antonio; Richmond; Charlotte; Denver; Seattle; Orange County, California). Some might argue whether my position is of importance to the operation, but I spend my time managing inside and outside legal activity, working with our senior management group and board on all manner of things, and occasionally doing some "real work," such as handling a purchase, sale or lease. How long have you been in this position and what were your prior positions with the company? About ten and a half years. I was assistant general counsel for about a year and a half before that and have had various flavors of the "vice president" title while in the general counsel and assistant general counsel roles. What do you enjoy most in your current role? Working with Steve Cox (also a Baker Donelson alum), Andrew Loope and Robin Higgins in our legal department and the many other very talented people who operate our business. What is the toughest thing about your job? It's harder to be objective when your client is also your employer. Keeping a dispassionate sense about things is often tough. Our CEO, David Emery, has a quote from Albert Einstein on his desk that says "Bureaucracy is the death of any achievement." Guarding against bureaucracy-creep and the omnipresent hand-wringing about "risk management" and "compliance" is also tough. Prior to joining Healthcare Realty Trust, was there a particular reason you chose to work for Baker Donelson? I got a lucky break – one of many in my life. I had been unsuccessful in getting hired by either Baker Worthington or Heiskell Donelson as a law clerk (and several other name-brand firms for that matter) and went to work with a smaller firm in Nashville. I did insurance defense litigation primarily, but was exposed to some commercial real estate transaction work through one of the partners who represented a group of German investors. After doing that for a few years, my friend and law school classmate, Scott Carey, called me in late '95/early '96 about an opportunity to work in the real estate group at Baker Donelson. I remember interviewing with Matt Harris, John Hicks and Larry Papel. They gave me a shot and I jumped on it. How does your current position relate to your previous law practice with the Firm? Though I'm not nearly as involved in the drafting work as I was with the Firm, there's unquestionably a lot of overlap between our day-to-day business and the work I did in the real estate and commercial lending group at Baker Donelson. I learned a lot about accounting and public company reporting after I got here as well, and I'm still learning (and re-learning). How did working with the Firm help to shape your current career path? Working with the Firm had everything to do with my current career path. The Firm was involved in getting our company off the ground in 1993, and I was fortunate to be able to handle transactional work for our company while a lawyer with Baker Donelson. Roger West, who was then the general counsel, was looking to retire in a couple of years and hired me to be his understudy in April 2002. Do you keep in touch with former colleagues? Like most people, my spare time is spent following my daughter and son around to the sports events and school events they are involved in, trying to keep the house and yard in shape, paying bills, cussing at the Vols on TV, and sleeping intermittently. Are there any particular locales to which you enjoy traveling and spending your time away from the office? We have a place at Tims Ford Lake near Winchester, Tennessee, so that's a frequent getaway for our family. I've burned a lot of gas in the boat there. I ski with a group of guys at Jackson Hole, Wyoming, in late January every year. What a fantastic place. I noticed you used the plural reference. I've been inspired by lots of people, famous and not-so-famous, but my list of famous folks starts alphabetically with Hank Aaron and ends with Chuck Yeager. In between there's Milton Friedman, C.S. Lewis, Gen. George Marshall, Jonas Salk, Thomas Sowell, Pat Summitt, Harry Truman, John Wesley and John Wooden, to name just a few. What do you think you would likely be doing? Still practicing law at Baker Donelson. Doing what I'm doing is hard to beat. But, I have long half-joked about aspirations of running a bait shop one day. Is the world ready for a bait shop REIT? Be humble, but don't be scared. Be nice to secretaries and paralegals – you can learn a lot from them. Get in to the office early. Be courteous and respectful to opposing counsel and parties, not just because you're supposed to, but because they might hire you the next time or refer something they can't do. Answer the phone. As a general counsel/in-house attorney, what is the secret to winning work from you and Healthcare Realty Trust? No secret. For a company our size, it's 98 percent about prior relationships. The vast majority of the work we refer out goes to people and firms we have worked with before. The people who continue to do work for us do it very well and efficiently and are people we like and trust. If we're sending work to someone we haven't worked with before, it probably came through a referral from someone we have (see general advice above). It's very hard to break in as an unknown entity. You have to demonstrate subject matter expertise. Be the person in the firm who knows the most about something. Write an article about it. Get on a CLE panel to talk about it. What are the determining factors when selecting a legal advisor? Again, experience gets you in the door. Efficiency (maybe speed is a better word) and thorough attention to detail keep you there.